Versatile entertainer Ajamu wants Grenadians to know he’s ‘alright,’ after a near-death experience 3 months ago. “I’ve come to the conclusion that God has kept me alive for a reason because I had a taste of death,” Ajamu disclosed, as he shared his experience with Pastor Stanford Simon and members of the St George’s Baptist Church (SGBC). 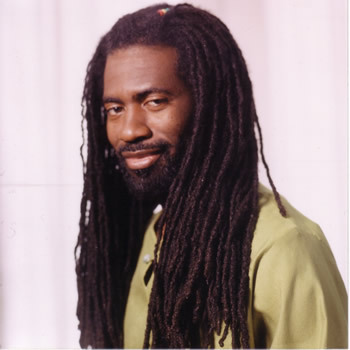 King Ajamu or Kingman, as Edson Mitchell is also popularly known, is Grenada’s most decorated calypsonian and is among a few nationals who have been honoured with a ‘culture ambassador’ title. He fell ill while on his way to Canada in August for a Toronto performance, following this year’s Grenada carnival. However, Ajamu never made it to the Toronto performance but instead was admitted to hospital. He relocated to a hospital in the United States, where he was treated for Guillain–Barré Syndrome (GBS), a rare disorder in which the body’s immune system attacks a person’s nerves. The exact cause of GBS is unknown. Ajamu, in recounting his ordeal, said his treatment and rehabilitation in America was aided by his faith in God, the support of his wife Lucy and other family members, and the prayers of many, including Pastor Simon. “I want you to know that those prayers worked,” Ajamu, a 9–time Calypso Monarch of Grenada, told the SGBC congregation. He had lost mobility in his legs and, at one point, was placed on oxygen and had to be fed through a tube inserted in his nose. Among those who also appeared in a dream, and was at Ajamu’s hospital bedside, was American pop icon Prince, who died in April. He said Prince wanted him to write the lyrics to a song, with the recording taking place at Ajamu’s music studio in Mama Cannes. “It was just a beautiful song,” according to Ajamu. Ajamu, who was made a Member of The British Empire (MBE) in 1998, delivered a brief impromptu performance at the end of his SGBC testimony.